The economy added 11,200 jobs last month despite fewer people looking for work, Statistics Canada said Friday. The data agency's monthly Labour Force Survey showed that more than 18,705,000 Canadians 15 or older said they had a job last month, an increase from 18,693,000 the month previous. October's numbers mean the economy has added almost 206,000 new jobs in the past year. 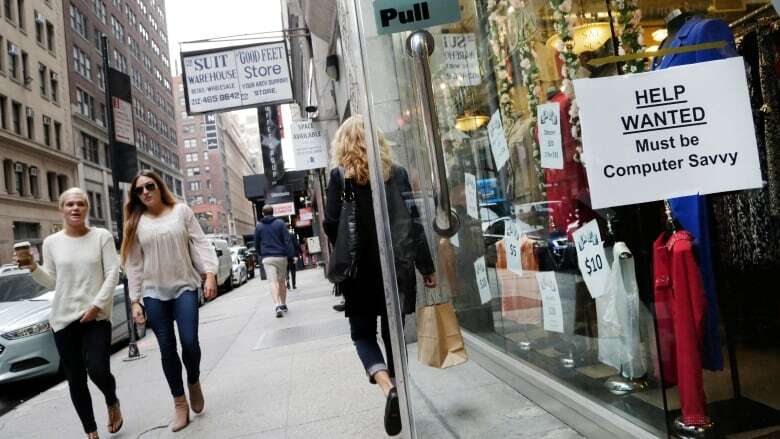 Economists had been expecting the monthly figure to be slightly higher, with the median forecast at 15,000 new jobs, among those polled by Bloomberg. While a modest figure, the jobs bump in October was enough to inch the jobless rate down to 5.8 per cent during the month, since more than 18,000 people reported they voluntarily left the work force during the month, which means they aren't classified as officially unemployed. Canada's jobless rate has seesawed between 5.8 and 6 per cent for the past year. Despite the lower jobless rate and slight uptick in jobs, economist Brian DePratto with Toronto-Dominion bank said that overall, the report showed some reason for concern. "Don't let the headline drop in unemployment fool you; this was a soft report," he said. "The decline in the unemployment rate can be largely put down to fewer Canadians engaging with labour markets, not an encouraging sign." He also noted that most of the full-time jobs came from people who describe themselves as being self-employed, which is "not necessarily a bad thing, but hardly a picture of strength." The economy added almost 34,000 full-time jobs during the month, but that was offset by a loss of 22,600 part-time positions. Quebec added more than 9,000 jobs. Ontario and Saskatchewan added 2,500 each. Everywhere else, there were fewer people employed in October than there were the previous month.